“I’m ready to serve YOU! 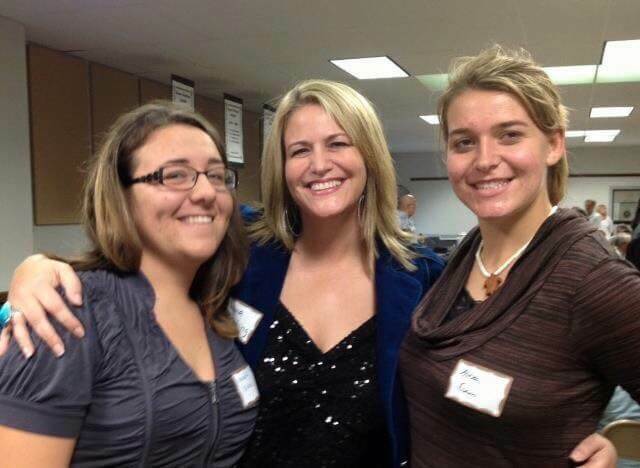 Public Safety’s Choice for Santee City Council! All of us want real rate relief to high energy costs, but there are still many unanswered questions about government run CCAs. 94% of Santee residents commute out of Santee to work. SR52 will not be addressed by SANDAG for another 30 years!! Click to view my plan! An immediate concern is the city’s looming $800,000 budget deficit next year that is estimated to reach almost $7M over the next 5 years. I have spent a lot of time listening to our seniors about their concerns and will be a strong and persuasive voice for them when I am on council. I am concerned about the impact any development has on our city, including Fanita Ranch. 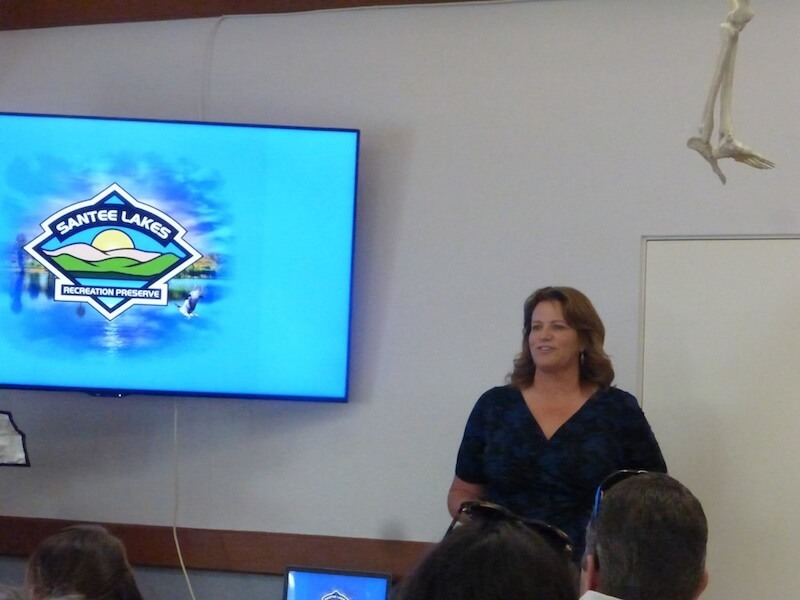 Laura presenting to a group of recreation professionals about the projects at Santee Lakes Recreation Preserve. 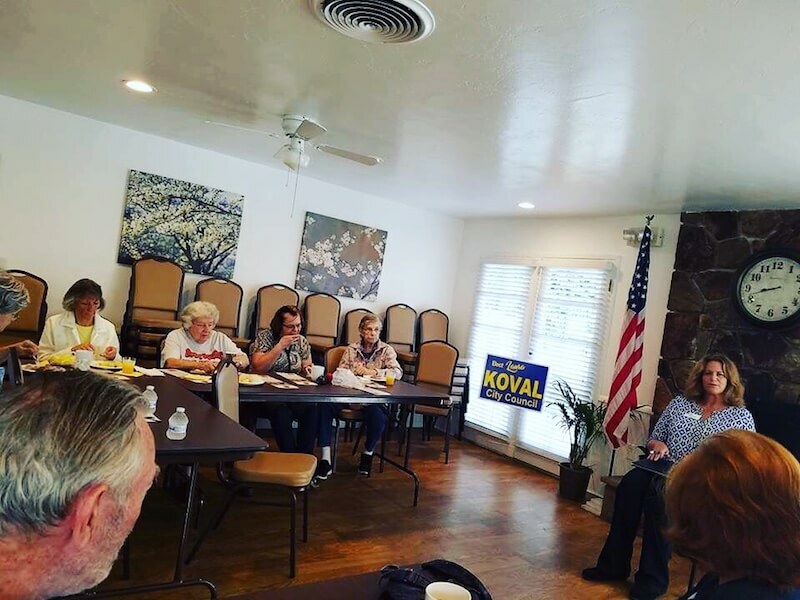 Laura at a local Mobile Home Park listening to seniors share their concerns. 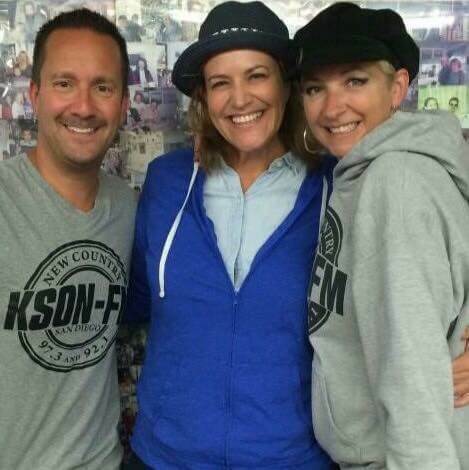 Laura with John & Tammy in the Morning (KSON- FM) promoting Santee. Laura as a volunteer track meet official at Santana High School. 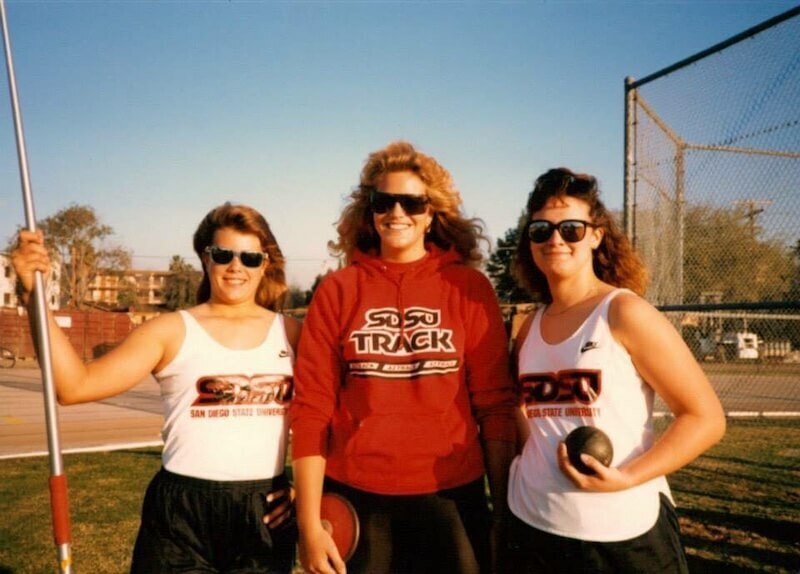 Laura was a scholar-athlete at San Diego State University and served as Team Captain of the women’s track team. 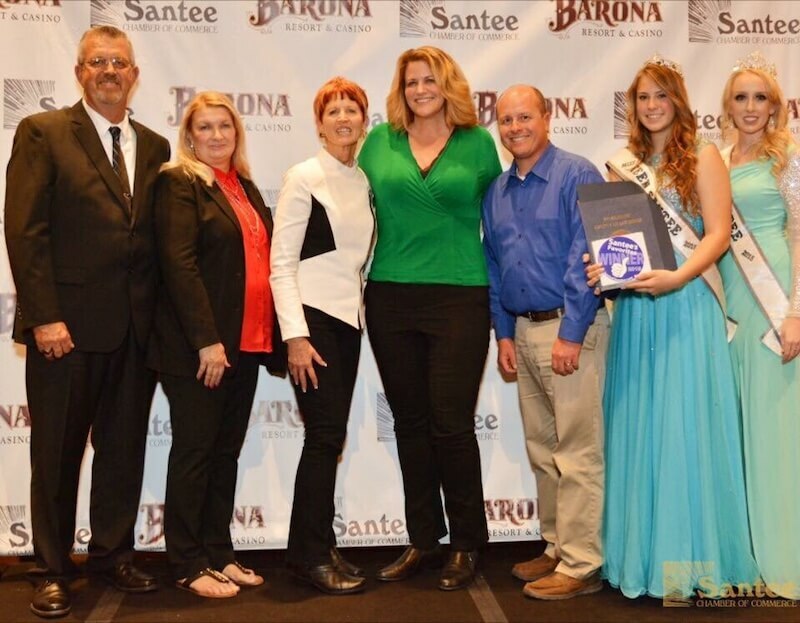 Winners of Santee’s Favorite at the annual awards night. Promotion to collect stuffed animals for Santee Firefighters for children. 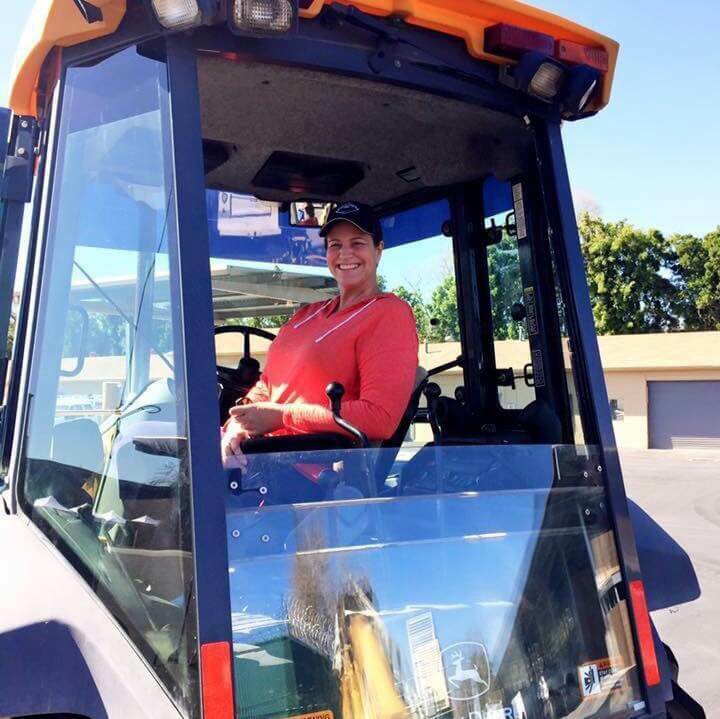 Laura pretending she can operate heavy equipment. She cannot. But, she has managed several park improvement projects. 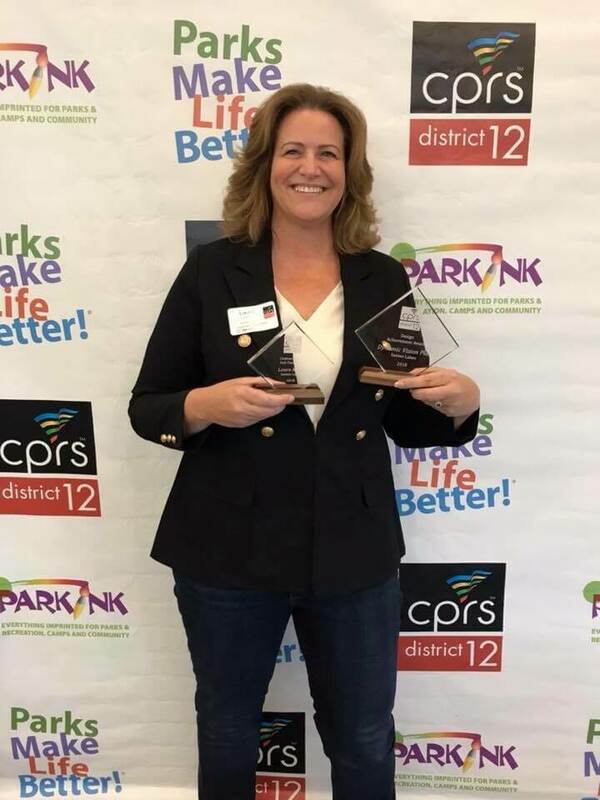 Laura at the California Parks and Recreation Awards Breakfast, nabbing 2 awards. 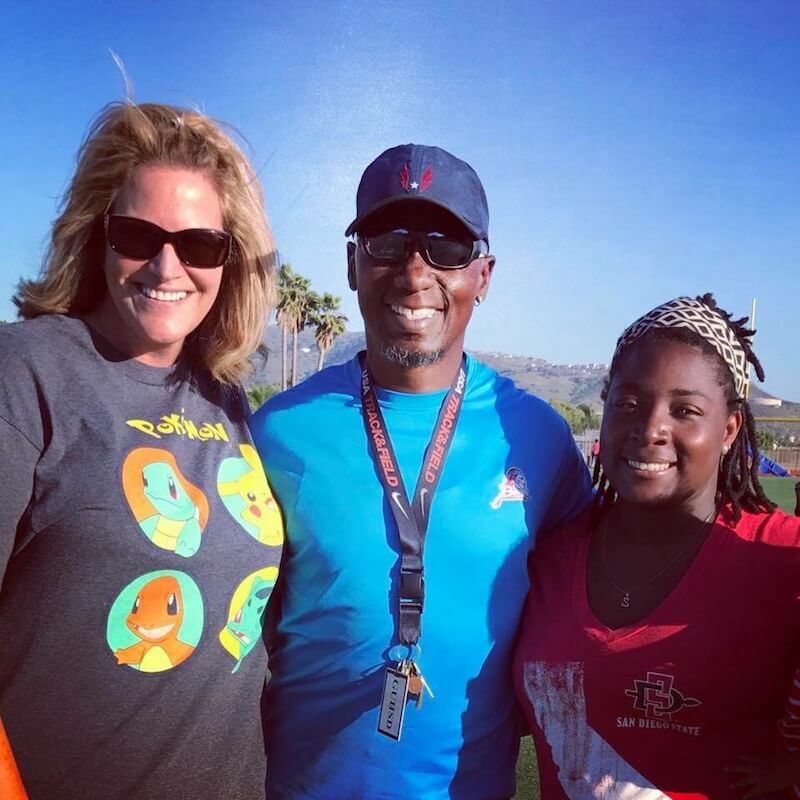 I have worked with Laura as both a colleague in Major League Baseball and also hired her as a consultant to help evaluate both our business practices and our service strategies at the Giants. Because of our time together on various MLB Industry and Ticketing Industry panels, I was able to gain insight into her deep understanding of how service and customer retention can maximize revenue for a club/company. 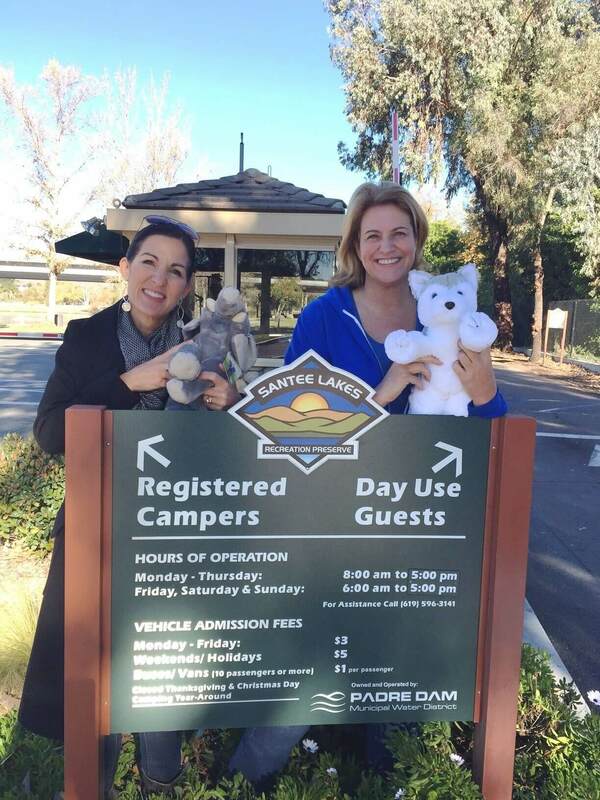 Her out-of-the-box thinking, detailed strategies and incredible knowledge and practice of CRM maximization led me to hiring Laura as a consultant to impart her expertise to us at the Giants.